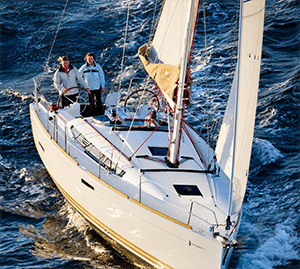 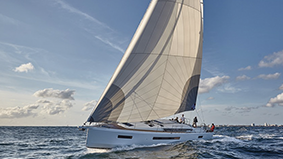 The Sun Odyssey Jeanneau 389 represents the perfect balance of ingredients that have made the Sun Odyssey range a success. 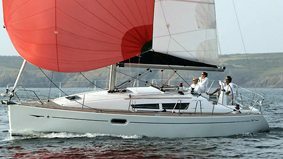 Among the many key features incorporated into the Jeanneau 389, you’ll find first and foremost, a full sized, sleek and comfortable cruising boat. 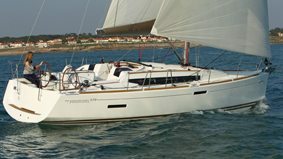 Add twin helm steering for optimal ergonomics in the cockpit, main and genoa sheets lead aft to each helm station, a modern sail plan including either self tacking or overlapping genoa and an available Code 0 reacher and you’ve got the perfect formula for the utmost in versatile sailing. 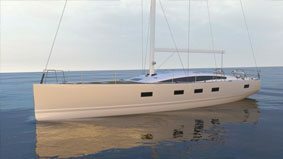 A performance-oriented hull with a sharp chine comes from the drawing boards of Marc Lombard, who also lent his talents to the sleek exterior design. 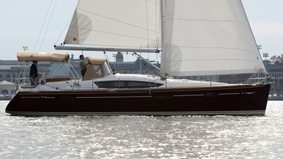 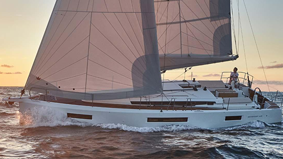 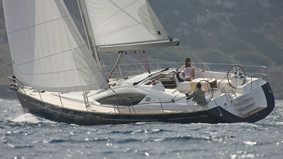 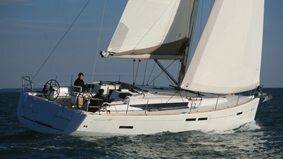 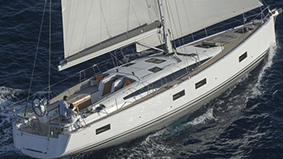 Special attention was given to the ease of sail handling, the ergonomics and the modern aesthetics for the Jeanneau 389. 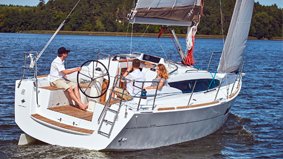 You’ll find the stylish interior with plenty of solid wood mouldings and an emphasis on storage and liveability will allow you to fully enjoy your destination with friends and family. 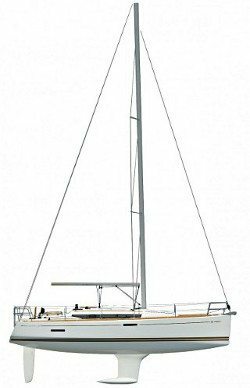 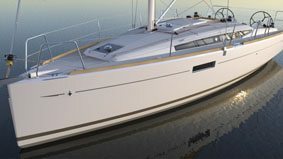 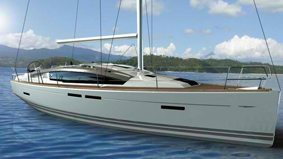 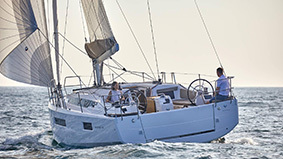 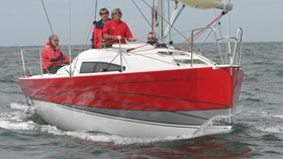 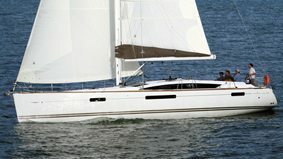 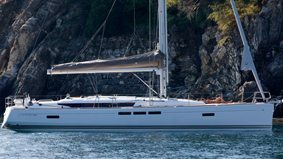 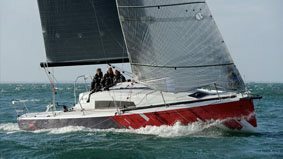 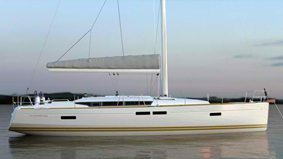 The Jeanneau 389 has multiple keel options including a specially-designed winged shoal keel and a beachable swing keel (only boat in its category to offer this version) along with twin rudders will open your cruising grounds while an “Unlimited Ocean” category A rating from the CE will get you there safely. 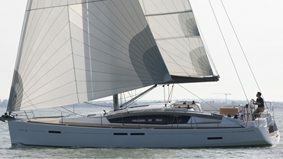 Lots of different interior fabrics. 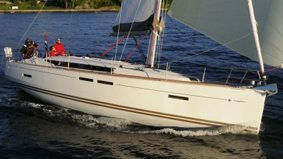 By Phil Cox The yearly organised sea trials by Jeanneau are a great way of being to see what the manufacturer has been up to for the past 12 months and cast a discerning if somewhat jealous eye over the new models. 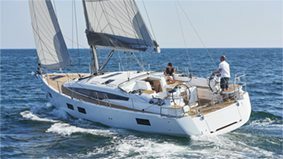 This year the location was the same as last year, at Cannes and staying in the great Gray d’Albion hotel walking distance to the Jeanneau team and the new boats.. Not only is the 379 new for 2012 as there was the 44DS as well but it was the Sun Odyssey 509 new for 2012 receiving most of the reviewers and journalists attention.